Die Co. ball stud retainers quickly secure access doors, inspection panels and other assemblies that require repeat detachment and re-attachment. They hold fast to matching ball studs, yet release easily when needed. 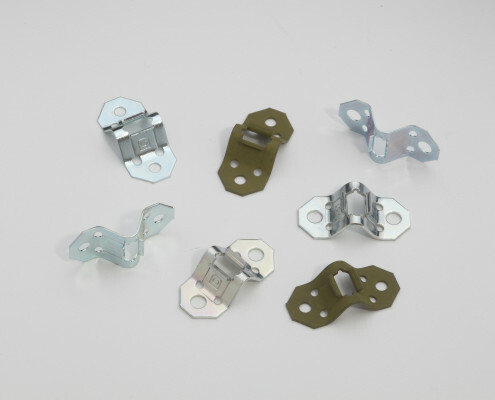 Different material thickness provides a range of pull-out tensions. Browse the selection of Die Co. ball stud retainers in our product catalog, contact us to customize a ball stud retainer for your application or check for a competitor part on our cross reference list. Learn more about Die Co. ball stud retainers and find part numbers in our product catalog or check for a competitor part on our cross reference list. Email a Die Co. representative – or call 440-942-8856 – and tell us what you need. One of our fastener experts can help you find or design the best ball stud retainer for your application. Need a product drawing or sample? We can provide that too.